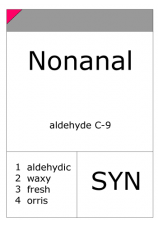 Nonanal (Aldehyde C9) 10% sol. 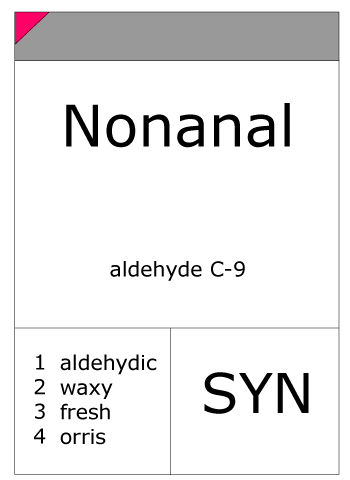 Home > Nonanal (Aldehyde C9) 10% sol. Used in small doses (in 1-10% solution) to lift florals such as Rose, Jasmin, and Tuberose. Occur naturally in citrus, pine and ginger oils.